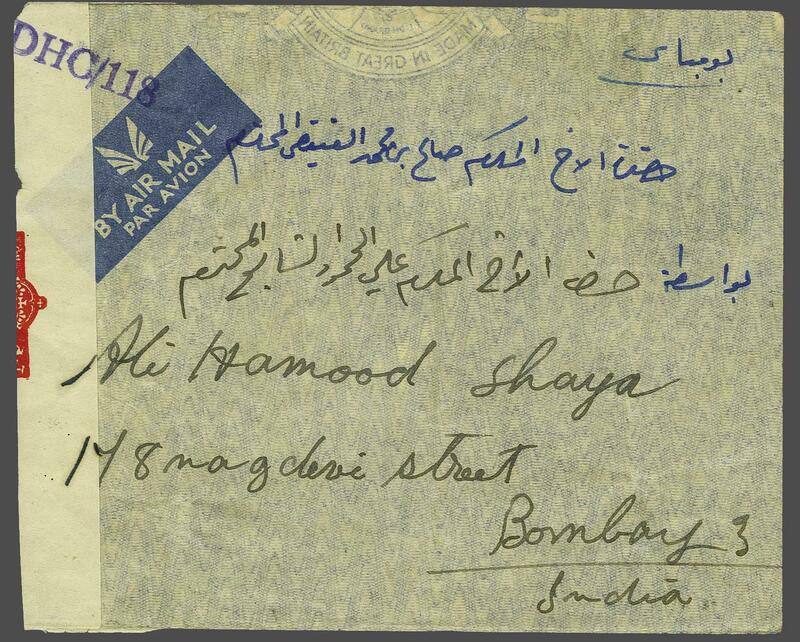 Persian Gulf 1942: Airmail cover to Bombay franked on reverse with India 2 a. 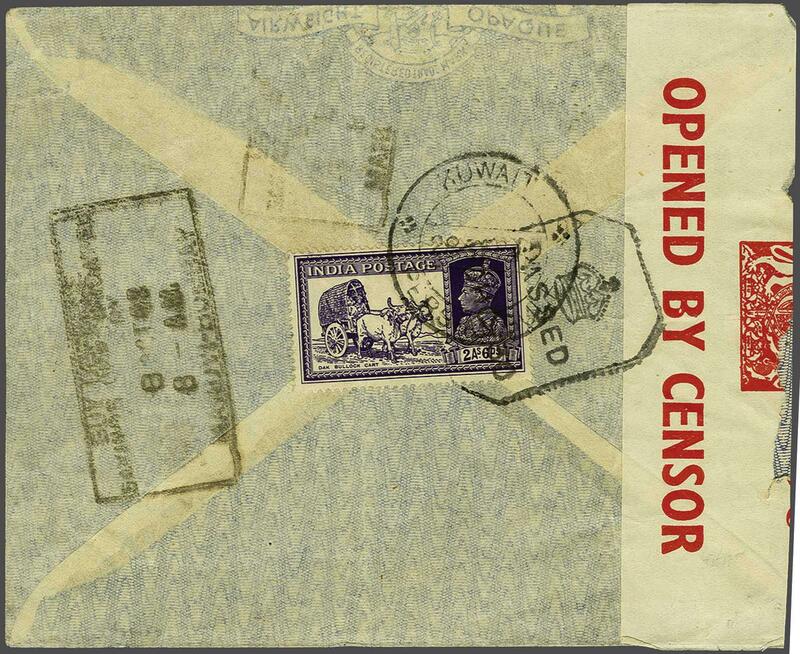 6 p. violet tied by bold KUWAIT / PERSIAN GULF cds in black and by Bombay 'DHC/30' Censor chop. Reseal "Opened By Censor" strip in red applied on arrival (Oct 8).